Hahahaha! You comment made me laugh. And throw up. And then laugh again. My kids just watched these videos with me and thoroughly enjoyed them. You are definitely doing something right! Also – can I tell you how gorgeous you are?! That was so funny! Ella loved it too! She calls it “Booger silly faces”. Watcha gunna do? I had to scroll really fast past thi pictures, because even though I know all kids do it (and I am constanly cleaning strange crusties off stuff) I just can’t think too long about it. At least he isn’t eating them! Oh, if only the grossness stopped at puberty. Alas, you could well be writing variations on this theme clear into their adulthood. I’m thinking Xanax, stat. I really can’t believe you photographed that! Too funny. Thanks for the laugh this evening! Kids are so funny. You look gorgeous in the videos. The last two times our family has moved, I have had to sandpaper the walls in the boys’ bedrooms because of dried booger remains. Three boys, three busy noses, one extremely grossed out mother. I have been there, sister. Steph, your children are adorable. Even with the nose picking. The whole booger issue drives me insane! It’s basically the worst part of motherhood…I’ll take potty training any day over “booger training.” And I have girls! They’re supposed to be all ladylike and WANT to use tissue. Well, I have one that does. The other two? Not so much. My computer is currently on a kick where I can’t view video. Sorry to miss out on your gorgeous self. BUT- I can tell you that this is definitely a universal motherhood thing, dealing with boogers. We found a HUGE one on the wall next our computer. No one seemed to know where it had come from. I figured someone was embarassed about it so I just told them that whoever did it needed to find a private time to go wash it off. We didn’t have to know who it was, but they were responsible for cleaning it up. When we arrived home (the conversation having taken place in the car), it wasn’t long before I noticed Julia hard ar work scrubbing the wall. And Renie is famous for wiping them on the car window next to her carseat. That seems to be the only place she has tried her hand at it. She must like how the sunlight shines through them. I love his comment on the video “I can’t wait to watch it” I was a booger wiper when I was younger. I have grown out of it. I hope the tissues help. this is so hysterical. my son wipes his boogers on his OWN shirt, which i don’t get at all, but i appreciate that it isn’t my shirt. and my daughter is a pick it and eat it kinda girl. yuk. i hope she grows out of that one very soon, but she likes grossing us out. great movies. i loved seeing you and your kids laughing together. LOL!! this is too funny…..my BROTHER when he moved out @ the age of 19 got caught! 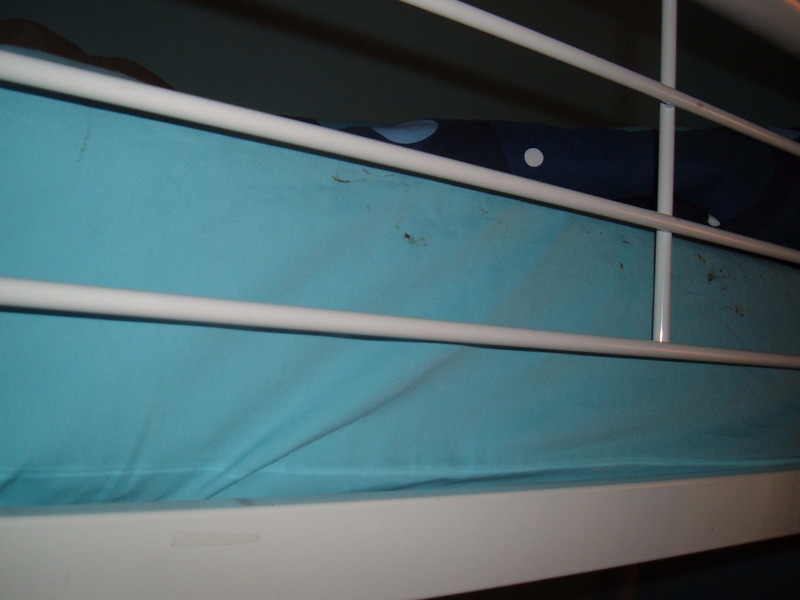 yes, we moved his bed to find….I can’t even tell you….it’s so gross….times your find by 1000!!!!!!!!!!! Sorry to anyone who couldn’t see video. Here are the direct links if that’s easier. Ewwww…boogers! Love the drama…glad my house isn’t the only one seeing the budding of tomorrows lead actors and actresses. Yeah, I get so tired of the crusties. 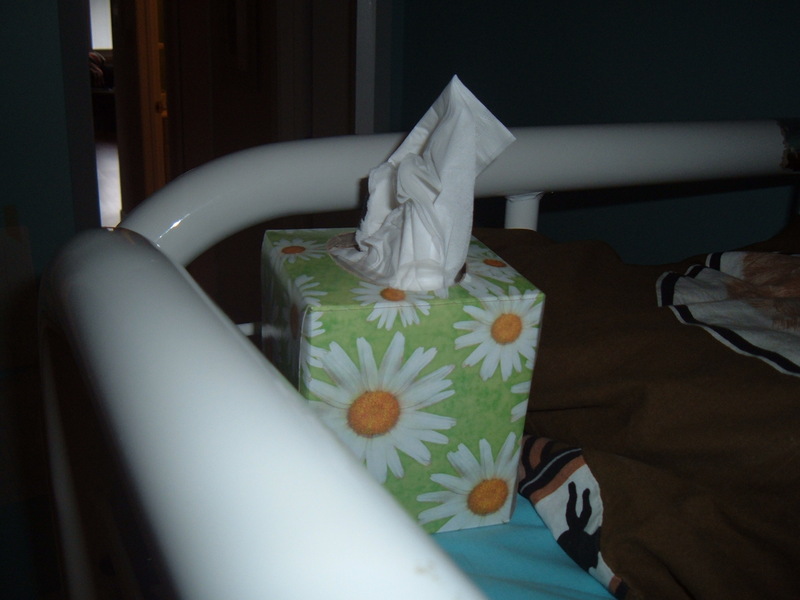 I had very little luck with putting the kleenex in my son’s bunk, but good luck with that! You do look fab, Stephanie! I had a bed like that when I was a kiddo. Laziness. Pure laziness, as I recall. how wonderful to finally see your children in action. and not surprisingly they act just like mine! Okay, that was gross. And it was true in all it’s gross-ness. I don’t know why kids do that…and I made mine clean it up themselves…otherwise, they would have to clean up my barf if I had to…yuck! What a brave mom you are! Blackmail is in the future, I just know it!